Magician Siegfried Tieber photographed by Aaron Champion. 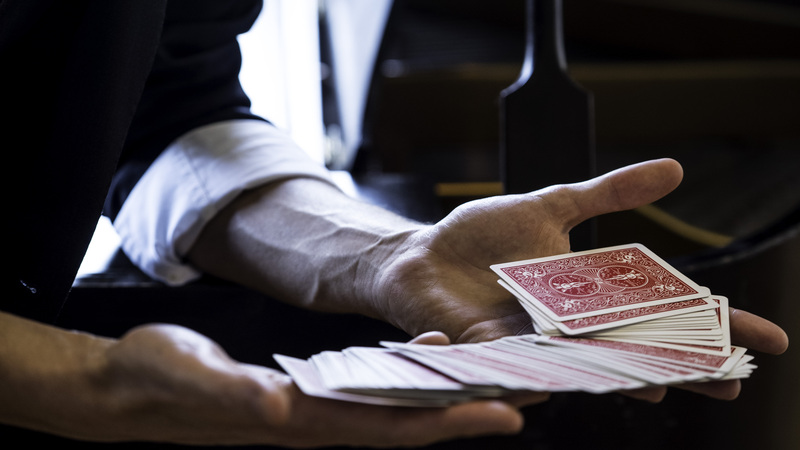 Cozy up to host, performer, and close-up illusionist Siegfried Tieber for a dazzling demonstration of prestidigitation. 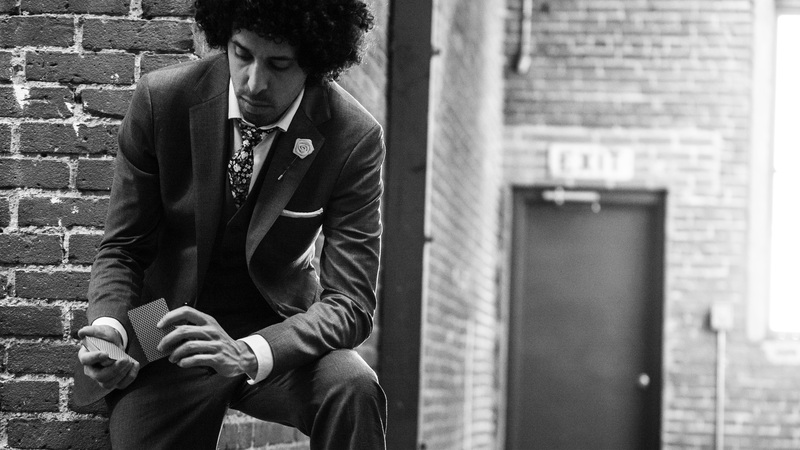 Over the next few weeks, the Ecuadorian-born, Los Angeles-based magician is presenting an intimate 2-hour evening of card tricks in a pop-up venue in Downtown LA. You can find the hidden entrance in the parking lot next to the subterranean speakeasy, Birds & Bees. Impeccably dressed in a three-piece suit, Tieber spends some time before his performance getting to know everyone by name. (The audience is restricted to 24 maximum attendees.) His broad smile matches his huge, friendly eyes but it’s his elegant, slender fingers that capture your attention while he deftly handles the cards. Tieber then proceeds to defy logic with some truly inexplicable feats of magic. He talks at length of the difference between a card sharp and a gambler, allowing that they share some skills. He describes how statistically rare it is to witness the appearance of Royal Flush (poker’s most desirable and unbeatable hand) — and then proceeds to deal himself one. This skill, he divulges, took four weeks of 10-hours per day of practice to accomplish. Best of all, he allows the audience to ask him any questions. I found his explanation for how a card player uses intuition to be analogous to an editor who subs a novel, easily spotting all the flaws, to be truly illuminating. The brick-walled upstairs room of the Civic Center Studios has been converted to a warmly lit venue complete with a small cocktail bar and a display of magic-themed artworks. See/Saw is definitely a magic show not to miss! Tickets are $74.00 per person. For more information, and to purchase tickets, please visit their site. 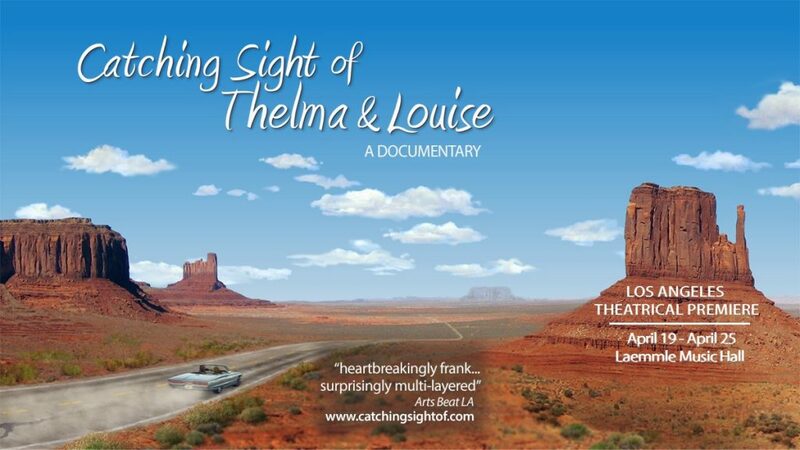 • 7:00pm shows on Thu./Fri./Sat./Sun. 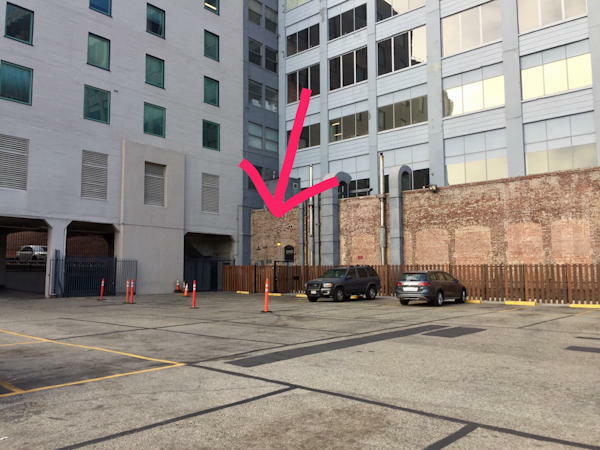 Hidden Entrance: Enter at the back of the parking lot on Broadway next to 207 South Broadway, Los Angeles, CA 90012. The entrance is right next to the speakeasy, Birds & Bees. Siegfried Tieber is a Los Angeles-based performer and sleight-of-hand magician. Born and raised in Ecuador, his first international appearance was in 2011 in Bogotá, Colombia. In 2015, Tieber headlined at the Edinburgh Fringe Festival, the largest arts festival in the world, where his performance was highly praised by critics and media outlets. Most recently, he was invited to be part of Penn & Teller: Fool Us, a television series featuring the legendary performance duo (yes, he did fool them). Although Tieber has appeared in venues large and small around the world, his heart is in performing close-up magic for intimate audiences—always with his sleeves rolled up.